140 quick and effective exercises to help you achieve and maintain a positive mindset and face any challenge with optimism and confidence—the newest in the popular My Pocket series. It can be hard to maintain a positive attitude—especially today, when the news and our social media feeds seem to be saturated in negativity and tragedy. 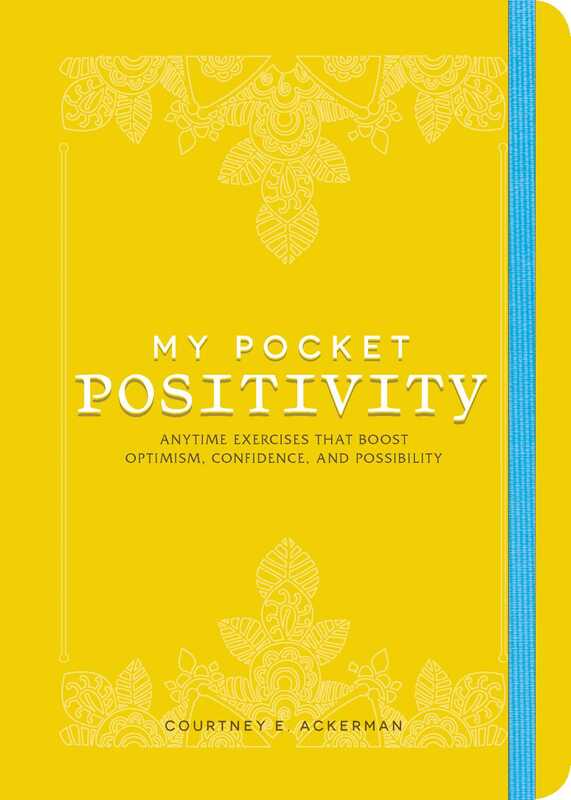 But with My Pocket Positivity, you will find the good in any moment—and maintain an upbeat attitude through the day, no matter what life throws your way. My Pocket Positivity is full of uplifting thoughts to brighten your day and inspire hope. Through 140 quick and easy exercises, you will learn how to boost and strengthen feelings of confidence, resiliency, gratitude, and serenity. What’s more, you will feel empowered to take positive action in your own life and the world around you to pay the feeling forward. "140 quick and effective exercises … that can give you a quick shot of confidence and an instant mood lift."